S﻿﻿ince 1992, the CCFP Roundtable has sponsored this highly successful CACFP Conference which attracts over 500 participants from around the country. The Conference committee has continued through the years to provide anyone within the CACFP community an affordable, productive, energetic, and educational networking experience. ​Exploring the Wonderful World of CACFP Meal Documentation. The California Department of Education (CDE) is offering the 2018-19 Mandatory Training for all Child and Adult Care Food Program (CACFP) agencies as a pre-conference session at the annual Child Care Food Program Roundtable Conference. 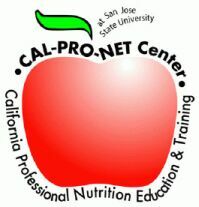 Registration for this training event is only with Fresno City College (FCC) Cal-Pro-NET by clicking here. The #CACFP50 Birthday is coming to the Roundtable Conference, be a part of history and the celebration. ​Get your picture taken with the largest CACFP Mosiac Birthday Card in the nation, back from its visit in Washington DC. If you haven't yet, sign the card now. A few more faces presenting at the conference include: from left to right Laura Vollmer, University of California, Division of Agriculture & Natural Resources, Alicia White, Branch Chief USDA Food and Nutrition Services and Donna Pomerson, Learning Care Group. Some fun presenters added to the line up include Melissa Manning R.D. and National CACFP Forum's Samantha Marshall. Food Fights and Shaping Your Role in CACFP will be a must. USDA will be represented from Washington D.C. with updates, listening session and conversation from ​Andrea Farmer and Angela Kline. Jesus Mendoza JR, Regional Administrator, USDA Food Nutrition Service, Western Regional Office. Reynaldo Green, Quality Care for Children and Terry Talavera join the cast for CACFP Your Way! ​Meet up with your favorite exhibitor at the Exhibitor and Learning Expo on Tuesday. Join today and receive a conference discount as a Roundtable member. The CCFP Roundtable Conference is one of the most important CACFP gatherings of the year. CACFP Meal Pattern Transition ends September 30, 2018, so it is perfect timing to be in the conversation. Shared by previous attendees, here are just a few of the many reasons to join us in Anaheim, CA, October 15-17, 2018. “Meeting CACFP professionals from around the country and finding out about the latest research and strategies is priceless.” You have a voice here. “I love that I can talk to the people who teach and write the regulation and materials—and ask them questions because here at this conference my voice is heard. Curious to see what was offered at the 2017 Annual Conference? Read some highlights from the event! ​Looking forward to seeing you at the Annual CCFP Roundtable Conference 2018!